PETALUMA, Calif. -- Spike strips put the brakes on a reckless driving suspect who led Petaluma officers on a chase early Sunday morning on and off Highway 101, police said. 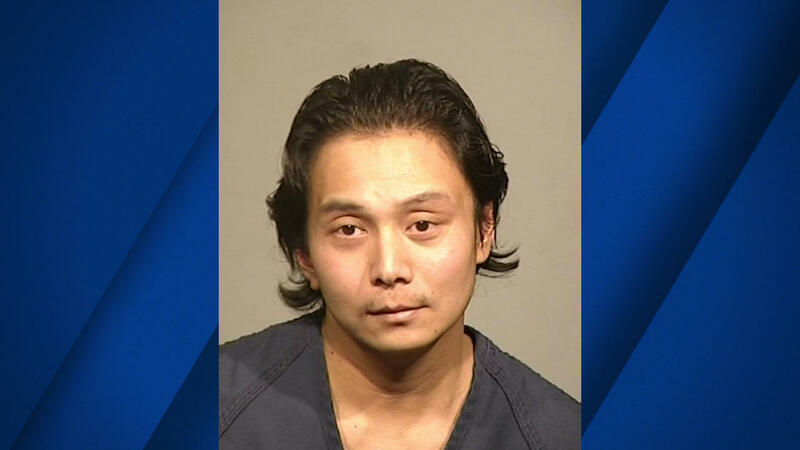 Kosal Orm, 33, of Santa Rosa, was arrested after the chase, which began about 3 a.m. when officers spotted a white Nissan pickup truck swerving in and out of traffic on East Washington Street. When they pulled the vehicle over, at the Petaluma Library parking lot, the pickup drove away from the traffic stop as officers got out of their car, according to police. The pickup then made a U-turn, and while passing the officers, the driver made a hand gesture, according to police. The officers then pursued the pickup onto northbound 101. The vehicle eventually took the Old Redwood Highway off-ramp, where other officers were waiting. The pickup stopped again for police along Old Redwood Highway, just west of North McDowell Boulevard. The driver, however, remained inside for about 10 minutes, refusing officers' orders to get out of the vehicle. Then the pickup took off yet again, headed southbound on McDowell with several officers in pursuit. One officer was able to place spike strips on the road and the pickup drove over them, flattening two tires and bringing the vehicle to a stop in the Deer Creek Village shopping center, police said. The officers conducted a high-risk, felony stop and eventually arrested Orm without incident. Orm was booked into the Sonoma County Jail for evading, reckless driving, driving with an expired license, and delaying arrest. No other motorists were involved, and no one was hurt in the incident, police said.